Getting around Las Vegas is one of the most important things to consider when you are planning your trip. Las Vegas is a big city, but most of your activity during your trip will probably revolve around the 4 miles of Las Vegas Boulevard, known as the Vegas Strip. 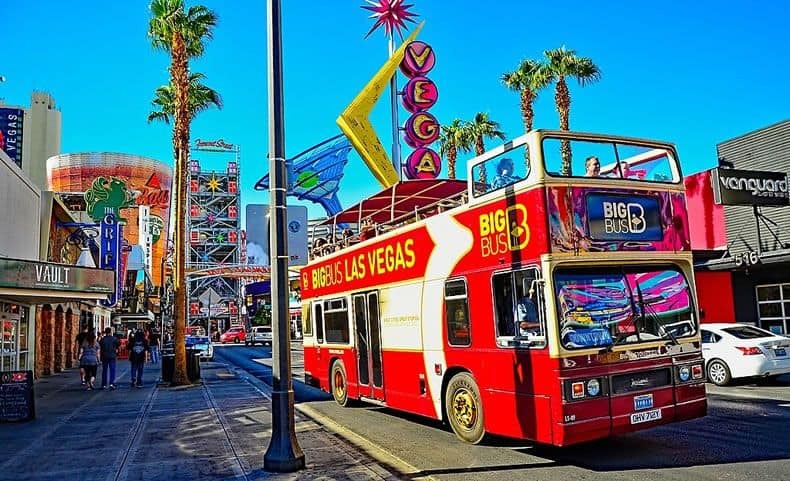 Vegas caters to tourists, and there are lots of ways to get around in Las Vegas and especially on the Strip, including several free and low-cost options. 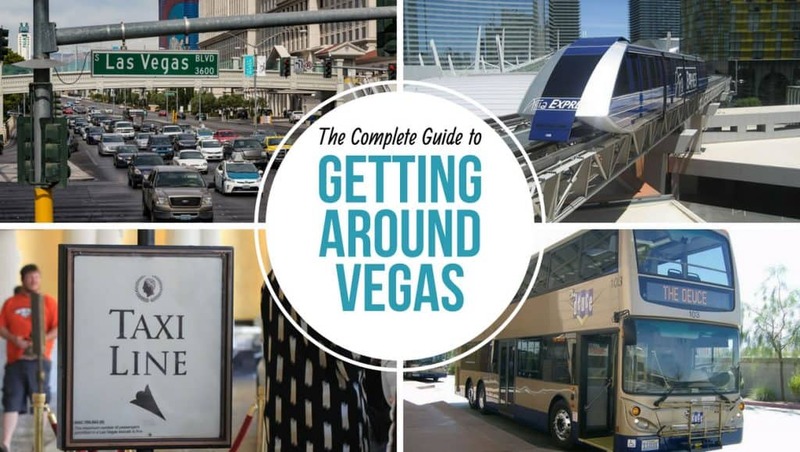 Whether you are in Vegas to see the sights or do a little gambling, we’ve got all the insider secrets to help you get around Las Vegas without breaking the bank. 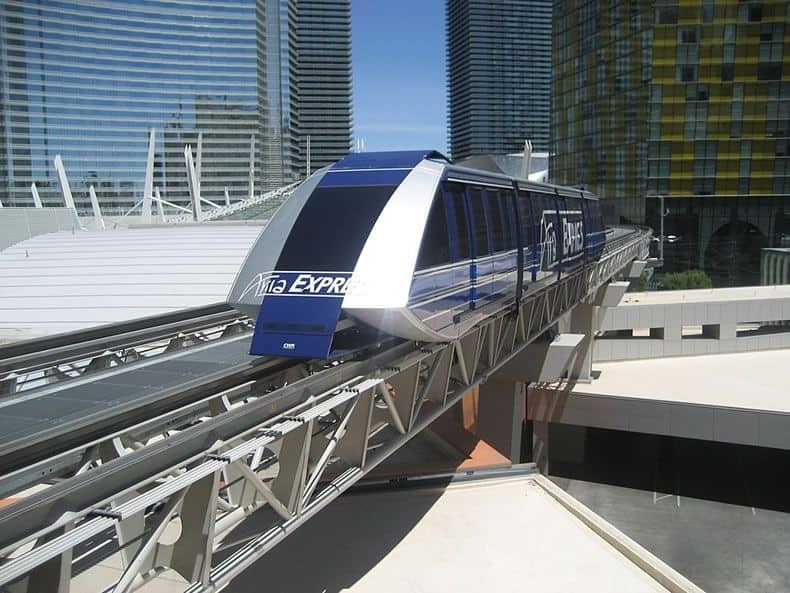 The Las Vegas Monorail is one of the best ways to get around on the Strip. Trains leave from seven different stations at 4-8 minute intervals. Moving at speeds up to 50 miles per hour, you can count on the monorail to be fast, reliable, and clean. The monorail is an excellent option for traveling between several of the different Buffet of Buffets locations and avoiding the hassle of parking at Convention Center events. Best of all, you will not ever have to worry about having a designated driver if you ride the Monorail. When deciding if using the Monorail will be the best way for you to get around Las Vegas, consider how much you plan to move around. Since every hotel charges for parking, parking once at your own hotel and then using the Monorail to get around could save you a lot of money. However, you should also consider how far you will have to walk to get to a Monorail station from your hotel. If the station isn’t close, you could be doing a lot of walking. Monorail ticket can be purchased at each monorail station. If you pay by the ride, it will cost you $5 per ride. Unlimited ride, single and multi-day passes are much more economical, and you can purchase them according to the length of your stay. As you can see, getting around on the Monorail is already pretty affordable, but we have some tips to help you save even more! If you are a resident of the state of Nevada, you can ride for $1 per ride (Maximum of 20 rides in a 10-day period). 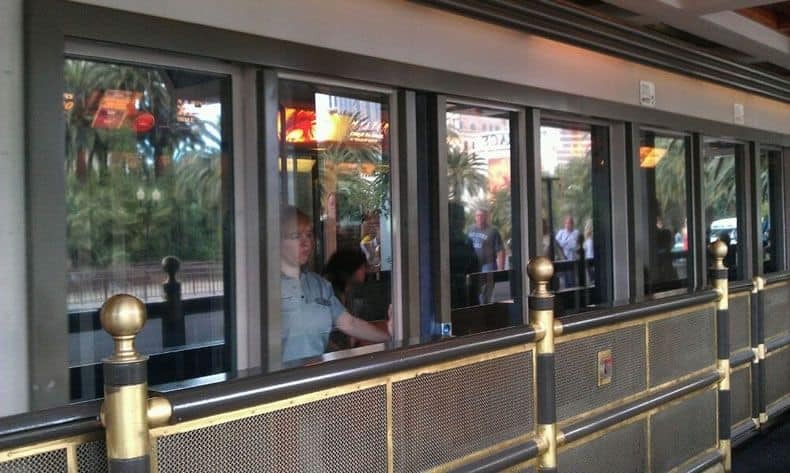 Kids under 5 can ride the Monorail for free. There is an expansion planned for the Las Vegas Monorail that will make travel even more convenient. Once completed, the entire system will include 8 stations that are directly connected to 11 resorts and two event arenas. In addition, the expansion will provide travelers with easy access to hundreds of entertainment and gaming venues and dining and retail establishments. 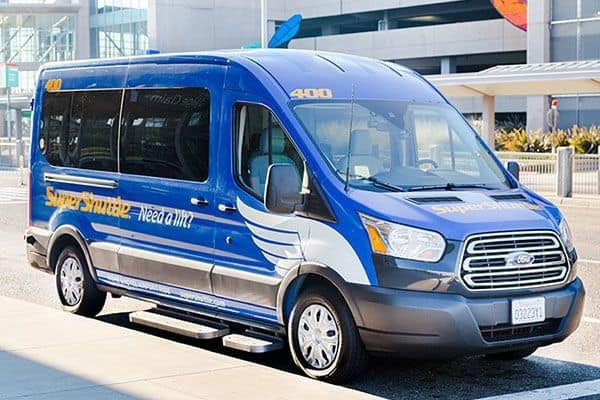 Although they aren’t very glamorous, airport shuttles are probably the most affordable way to travel door-to-door from McCarran International airport to your hotel downtown or on the Strip. Plan on sitting back and enjoying the sights during your ride. You will be riding with anywhere from 6-20 other people, so expect lots of stops along the way. Taking a shuttle from the airport to your hotel is pretty affordable, and you have several providers to choose from. Airline Shuttle: This service is available 24 hours a day. Shuttle service to strip hotels is $9 one-way. If your hotel is downtown, the shuttle service will cost you $10 one-way. Round trip tickets are also available and will save you a few dollars. They also offer walk-up limo service from the airport to your hotel for around $50, depending on how many people are in your party. Bell Trans: Bell Trans also offers shuttle service 24 hours a day. A one-way ride to the strip will cost you only $7, and a trip downtown will cost you $8.50. You can save a couple dollars if you buy a round-trip ticket. This company also has a walk-up sedan and limo service from the airport to your hotel for around $50-60. Showtime: This 24-hour shuttle service will take you to the Strip for $7 or downtown for $9. You can save a dollar each way if you buy a round-trip ticket. Super Shuttle: This shuttle service is also available 24 hours and offers wheelchair accessible vans. They provide one-way only tickets to either the Strip or downtown hotels for $11. You should also plan on tipping your shuttle driver $2 – $3 per person. Taking a taxi probably isn’t always going to be the cheapest option, but sometimes you can’t get exactly where you need to go on the monorail, bus, or by shuttle. The exception is if you’re traveling with a group. It can be cheaper to share a cab than it would be to buy individual tickets for the monorail or bus if you’re only going one or two places. Just be aware that not all taxi companies will allow you to pay with a credit card, so be sure to ask before you get in the cab if you want to pay with a card. Taxis are not allowed to stop on the Strip in Vegas. 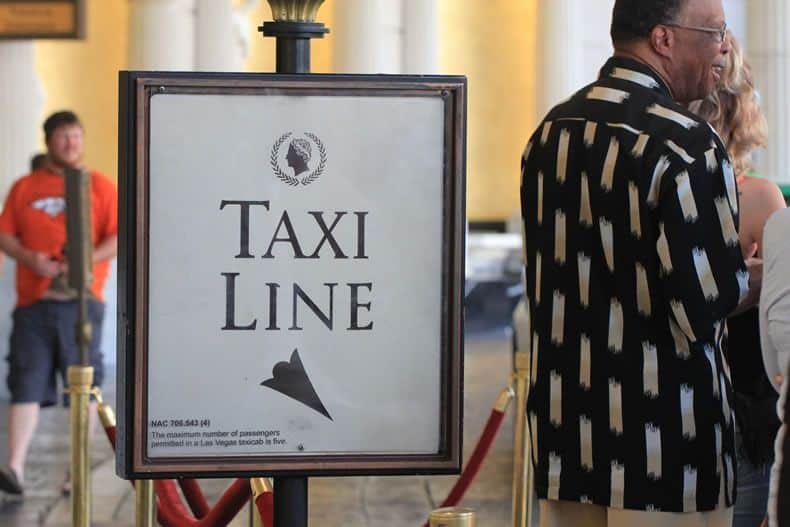 The easiest way to grab a taxi if you’re on the Strip is to head to the closest hotel and jump in the taxi line. Most people tip the taxi stand attendant a $1 or so, and $2 – $3 is customary if he helps you with your luggage. If you’re not on the Strip, you can hail a taxi as they drive by, but make sure there’s a convenient driveway or parking lot for them to pull into. Taking a taxi from the Las Vegas airport to your hotel will probably be faster than a shuttle. It should cost you somewhere between $14 and $23, depending on where your hotel is located. Just be sure to tell your driver not to take the tunnel. It takes longer to go that way, and it’s a trick that cabbies use to jack up your fare. If there are four people in your group and you can all fit in one cab, taking a taxi might actually be cheaper than paying per person for the shuttle. Taxi drivers in Vegas only make about 40% of the fare, and they also have to pay for at least some of their gas. They don’t get any sort of hourly wage, so if you don’t tip, they don’t make very much. A 10% – 15% tip is fair as long as your driver was safe and respectful. For short trips on the Strip, $2 or $3 is fine. Using Uber or Lyft in Vegas is going to save you quite a bit of money over taxi service. 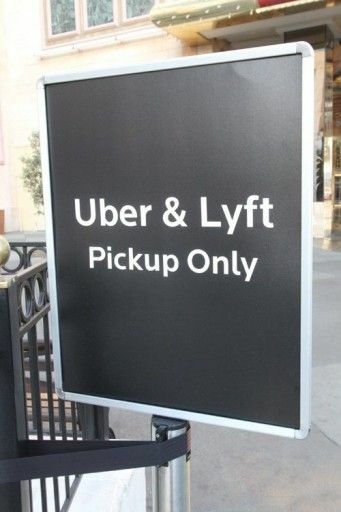 Be aware that most Vegas hotels have a designated pick-up spot for Uber and Lyft. Make sure you’re at the designated pick-up location and ready to jump in when your driver shows up. Sometimes it takes a long time to get a cab in Vegas, so Uber or Lyft might be a faster option if you don’t want to wait around. Uber coupon: New users enter promo code ARIA2 for a free ride up to $20. Uber and Lyft are not allowed to pick you up right at the airport terminal at McCarran. If you want to use one of these services to get from the airport to your hotel, you will have to meet the driver in the parking garage. In Terminal 1, head over to T1 Parking and take the elevator up to Level 2M. In Terminal 3, head to T3 Parking and take the elevator down to the Valet Level (V). That can be a hassle if you have a lot of luggage to haul with you. On your way home, however, your Uber or Lyft driver is allowed to drop you off right at airport check-in. Although you will probably get similar service with both Uber and Lyft, Lyft may offer the better deal for Vegas travelers. The sign-up bonus for Lyft is $5 off on your first 10 rides, which is perfect for Vegas since you will probably be taking several short rides. That means your $8 ride down the strip will only cost you $3 with Lyft’s sign up bonus. However, Uber now offers Express Pool service in Vegas. Express Pool allows you to share your ride with other riders going to nearby locations and split the cost of the ride. You might have to do a little bit of walking to get to and from the pick-up and drop off spot with this option, but it could be a real money saver if you’re traveling by yourself or with just one other person. Luxury transportation services are everywhere in Las Vegas. While it may not be practical for an extended stay for most people, it’s a fun way to celebrate a special occasion. It can be more affordable if you want to rent one for a night out on the town with a small group. Most companies price their limo services per person by the hour. If you have a group of seven or more, you can rent an SUV Limo for $10 per person per hour. Prices for smaller groups of two or more can range anywhere from $15 per person per hour for a sedan to $75 per person per hour for a luxury vintage limo. Just like most major cities, you can get a rental car right at the airport. You can also get one at many of the hotels and casinos, but the rates tend to be a little higher than at the airport. Car rental rates are actually quite reasonable in Vegas, so renting a car will probably be cheaper than taking taxis everywhere. If you plan to do anything outside of downtown or the Strip area, renting a car is probably your best bet. If you value speed and convenience over saving a few bucks, rent a car and valet park wherever you go. The lines for getting on the monorail, buses, or taking a cab can literally be hours long in Vegas, so this is definitely the better option if you hate waiting. Just be aware that some hotels and casinos charge extra for parking so those fees can add up, too. 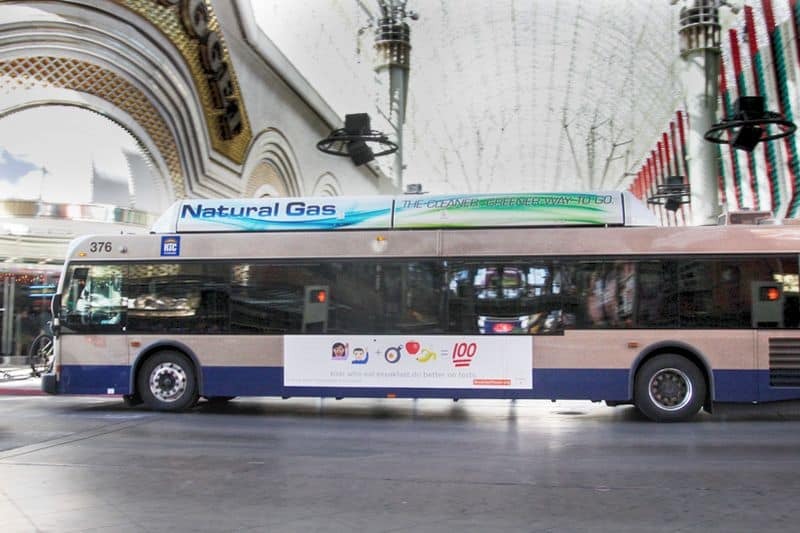 There are three ways to get around Las Vegas on the public bus system. If you don’t mind traveling by bus, this is one of the cheapest ways to get around. 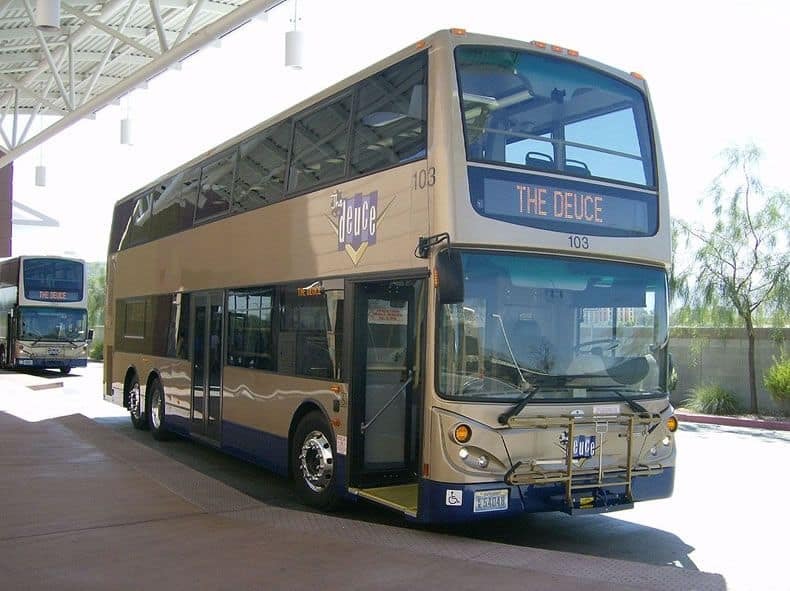 The Deuce bus runs two different routes throughout the Strip and Downtown. It’s not going to be the fastest way to travel because it stops at nearly every property on the Strip, but it will only cost you $6 for a 2-hour pass, $8 for a 24-hour pass, or $20 for a 3-day pass. The Deuce operates 24 hours a day and stops every 12-30 minutes. Make sure you have the exact fare when you get on. The Strip and Downtown Express (SDX) bus travels from the Las Vegas Premium Outlets all along Freemont Street to the South Strip Transfer Terminal. The SDX runs from 9 AM until 12:30 AM with stops every 12 to 15 minutes. Rates are the same as the Deuce bus. Exact fare is required to board. The Westcliff Airport Express (WAX) bus route is a fast and convenient way to get from downtown Las Vegas, The Premium Outlets, and the Strip to McCarran Airport. It runs from 6 AM to 11 PM 7 days a week and stops every 20 to 30 minutes. The fare is only $2 one way. You will need the exact fare to get on the bus. 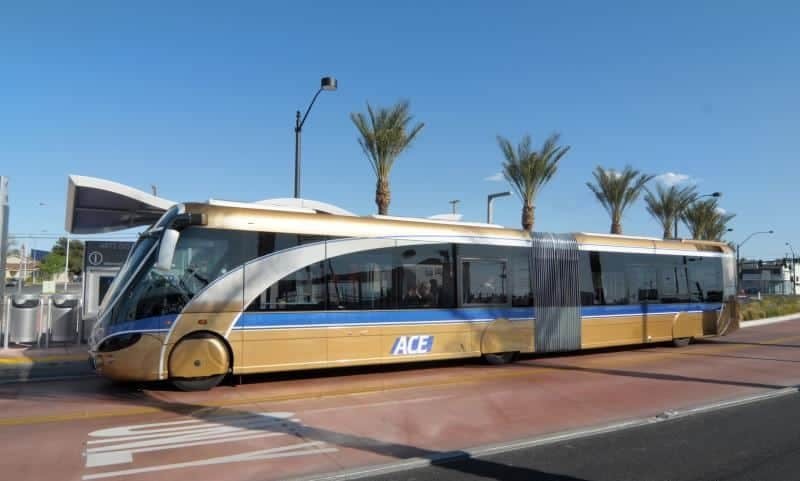 Visit the RTC website for more details on these Las Vegas public transportation buses. The Hop-On Hop-Off Big Bus tour is a sightseeing tour bus with live tour guides. It’s a great way to see all the sights Downtown and along the Strip. You can even get off the bus to do a little gambling or exploring at 15 stops along the way. You can get on at any stop, including Caesars Palace, the Monte Carlo Hotel, and the Tropicana Hotel. The bus hits each stop every 20 to 30 minutes so you can enjoy the sights at your own pace. A one-day hop-on hop-off ticket will cost about $45 for adults and $35 for kids. When you get tired of walking, taking advantage of these free shuttles and trams can save you a lot of time, not to mention blisters on your tired feet. Hours and frequency will vary by day and location. The Aria Express Tram is a free and quick way to travel between the Park MGM, the Aria, and the Bellagio. It starts running at 8 AM and continues until 4 AM the following day with stops every 10 minutes or so. You can travel the entire route from Bellagio to Park MGM in about 7 minutes. 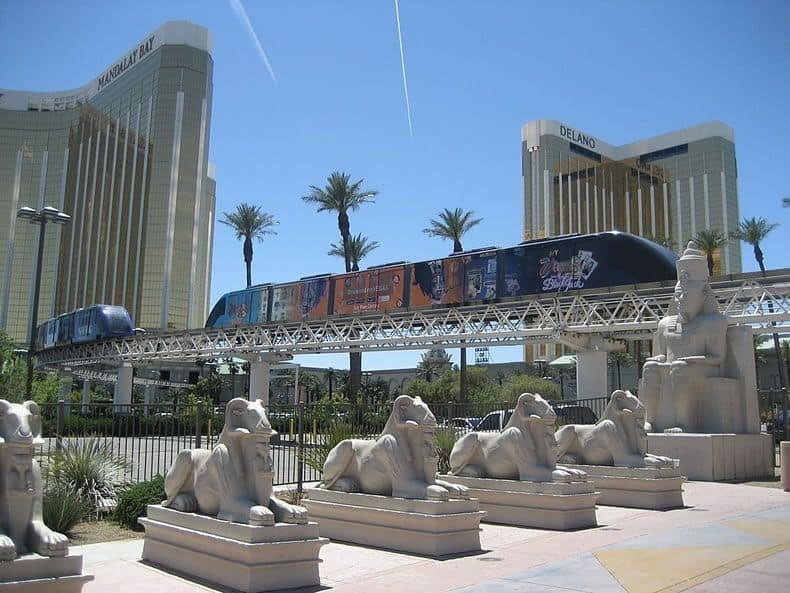 This tram offers a fast and free way to travel between Mandalay Bay, the Luxor, and Excalibur. Traveling the entire route takes about 8 minutes. It runs from 9 AM to 12:30 AM Sunday thru Wednesday and 9 AM to 2:30 AM Thursday thru Saturday. It stops every 5 minutes, so you shouldn’t have to wait long. Be aware that it can get pretty crowded on busy holiday weekends. This tram starts its trip at the Mirage and goes north to Treasure Island. The entire trip takes less than 5 minutes. Hours for this tram are Monday thru Thursday from 9 AM to 1 AM and Friday and Saturday from 9 AM to 3 AM, with stops every 10 minutes or less. At the time of this posting, this tram is undergoing renovations and is scheduled to reopen in October 2018. Taking a stroll along the Las Vegas Strip is a great way to see the sights and people watch. The entire strip is about 4 miles long, so you’ll want to plan your route. The Strip is very pedestrian friendly, with footbridges at all of the major intersections. 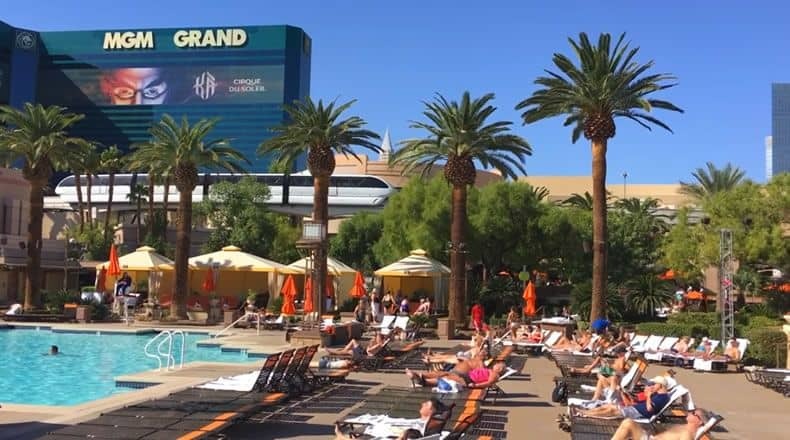 This is one of the best ways to really enjoy the strip because both sides are lined with attractions, including shops, restaurants, and casinos and there’s a lot to see. Many major attractions are within an easy walking distance of each other, including several of the Buffet of Buffets locations. Just be careful to never jaywalk in Vegas, or you could be fined as much as $198. Not only that, traffic is notoriously dangerous along the Strip. 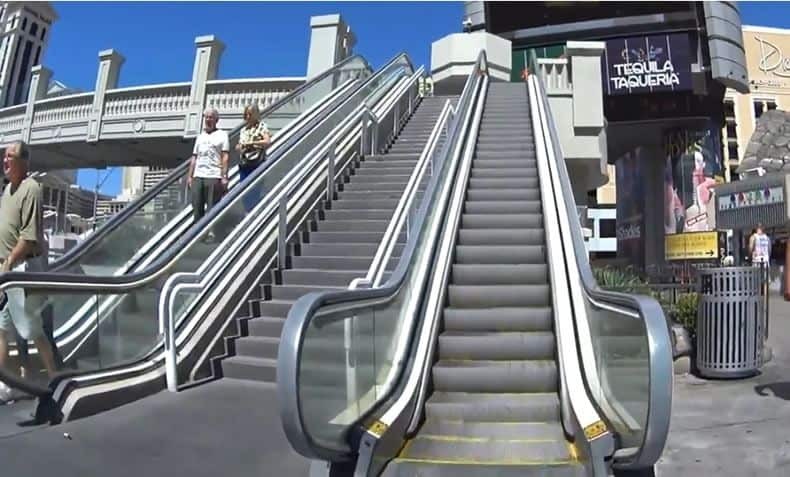 Make sure you use one of the 7 pedestrian bridges or a crosswalk any time you cross Las Vegas Blvd. Exploring Vegas doesn’t have to be stressful or expensive. With so many options for getting around in Las Vegas, you’re sure to find one that suits your budget and personality.